Legendary game developer SNK is pleased to announce a special BLACK FRIDAY holiday sale of the of the NEOGEO mini. Beginning November 23 – 26, NEOGEO super fans can receive a free additional gamepad when purchasing a NEOGEO mini on Amazon. Celebrating their 40th-anniversary SNK is ringing in the holidays with the NEOGEO mini. Packed to the punch, with over 40 classic NEOGEO masterpieces such as the King of Fighters series, Samurai Showdown, Fatal Fury and more, that any retro gaming collector will be sure to enjoy. With a sleek style harking back to the days of original NEOGEO arcade games the mini comes ready to play and fits in the palm of your hand. 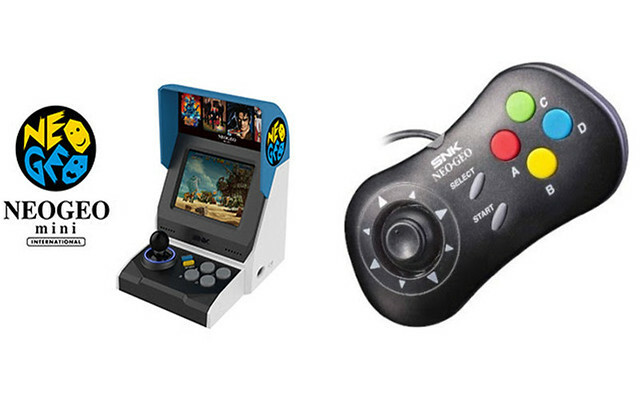 The faithful old-school arcade designed NEOGEO mini is equipped with a 3.5-inch screen, with the option to output to a larger screen thanks to the HDMI port. Retro gaming enthusiasts can take on their friends and family by connecting up to two gamepads, making the NEOGEO mini perfect for some family holiday fun. Those fans wanting to play like the arcade days can button smash their way to fighting glory with the controls and joystick and immerse themselves in the classic game sounds with the onboard headphone jack.